Johnny and I have admitted that despite all our budgeting talk, we actually like to buy nice things and spend money — even if we usually hold back. 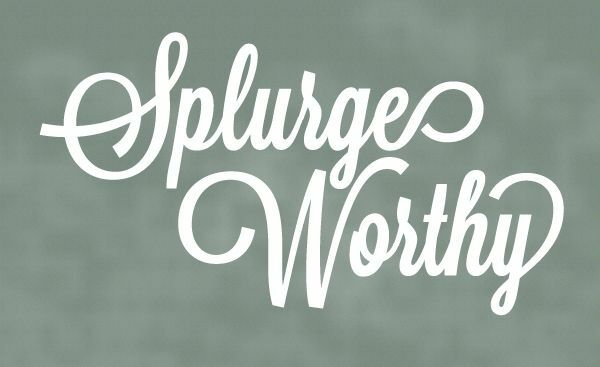 And so we’ve started a new series called “Splurge Worthy,” where we share our favorite splurges. I really like interior design. I like it more than finances. Yes, it’s true. But living life on a pretty strict budget and at one time an extremely strict budget means that I’ve really had to reign in my love of decorating. To me, decorating my house is a creative outlet. That said, if you ever visited our house, this fact probably wouldn’t be clear. We’ve decorated to a certain extent, but I have so much I would do if I had an unlimited budget. And we’re also holding back until we’re settled into a home. The same goes for my wardrobe. I love clothes and flipping through fashion magazines, but I spend very little money actually buying them. Before you go feeling sorry for me, I should be clear… holding back on both of these things doesn’t affect my happiness. Johnny has passions he holds back on, too, like golfing (still uses his dad’s old clubs and rarely golfs because of the cost) and clothing (my boy likes to look good, too). We hold back by personal choice. There’s a time and a place for certain things, and we’re okay with being patient for that time to come and saving extra money in the meantime. That said, since paying off our debt, we’ve started buying cute things for our home, little by little. When we moved to Utah a year ago, we bought our very first real kitchen table and chairs. We still kept our total budget under $500, but that’s $375 more than we’d ever spent on our dining tables in the past. And when I find cheap deals here and there, we’re able to accumulate other things for our home. One thing I’ve been on the prowl for is nightstands for our bedroom. We have never owned nightstands in our seven years of marriage. I KNOW! (Guarantee Johnny’s eyes roll at that.) So I wanted to share a recent deal I found at a local second-hand furniture shop. I love this shop, and I visit it every few weeks to see what kind of selection they have. 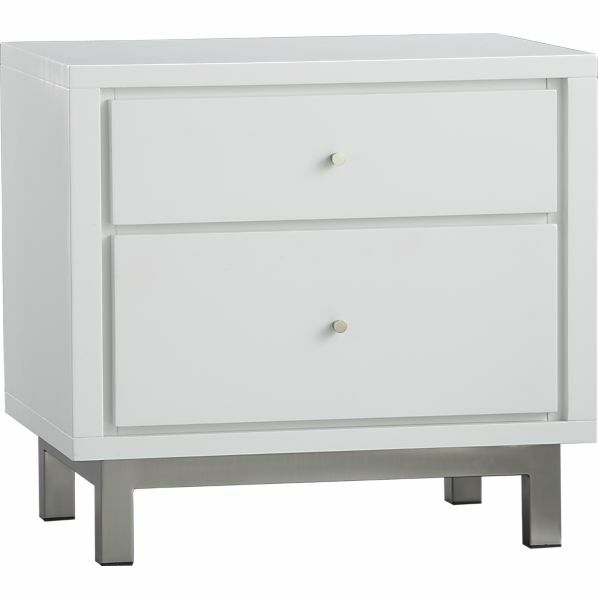 And while Johnny was in NY a couple of weeks ago, I found two Crate and Barrel nightstands for only $99 each. They’re just what I’d been looking for, and they’d normally retail for around $500 each. And to top it all off, they look brand new. Johnny gave them two thumbs up, and I’m pretty darn happy with them myself. What do you think? I took a quick picture the night I bought them to send to Johnny. Ignore the crooked pictures above the bed, if you will. The nightstands still haven’t been styled, and eventually I’d like to get two lamps and maybe change out the knobs. But to me, they were a splurge-worthy purchase if there ever was one. Have you bought anything splurge worthy lately? The item I am most likely to splurge on is clothing. Especially if I have an event to go to (like the wedding we went to in July that my husband’s ex-girlfriend was also attending). I’ve had my bedroom furniture since I was a teenager. It’s that nicely built, heavy stuff – not the stuff you buy in a box and put together at home. It’ll last many years to come. I recently changed out the knobs to something more modern and I love the look! PS – I love your new night stands! Ha! I would make sure I had a new outfit for an event like that, too! And very cool that your bedroom furniture from your teenage years is holding up so well! That’s something IKEA definitely can’t claim! I have to agree with splurging on nightstands. We had had one from Target that we got as a housewarming gift from my parents and when I went to get a second one (because…symmetry guys), I had sticker shock. $80 for a NIGHTSTAND? After a lot of hemming and hawing, I finally gave in. Truth of the matter is, it is one of the most used items of furniture in the house so it isn’t hard to justify it’s cost but, I was totally surprised at how much nightstands retail for! I know… nightstands are ridiculously expensive considering what they are. $80 is a steal, so you you go girl! Target is good for stuff like that. Love those stands! What a great find. Even though it was a splurge, you were very smart about your purchase. Our dining room table and chairs were a hand-me-down from my sister and I think originally it only cost her like $50 from Shopko! Haha. But I don’t care at all. However, my monthly clothing budget just went from $40 down to $20 with Eric’s new business venture and that will be a hard one for me!!! Thanks! I really love them. I love hand-me-down furniture. I kind of wish I lived closer to my parents for that very reason! And I have been on a clothing fast since the first of the year, other than my new swimsuit this summer, so I feel ya, girl! But so very excited for your husband’s new venture! The nightstands look pretty nice. I haven’t splurged on anything in over 6 months now, maybe is because I just don’t need anything right now. My mindset has changed so much that I look at what I have and say “eh, it still works.” Before I would change things for no reason. Way to be strong, Aldo! That’s a good mindset to have. I love your duvet cover, can you share where you got it? The nightstands look really nice. My husband is an architect, so he cares a great deal about how things look. He has champagne taste on a beer budget, if you will. I grew up with a series of church yardsale couches, so I am much more comfortable with the house looking like a Salvation Army showroom. Our 28 year old refrigerator just died last week and he got really excited about finding a fancy replacement fridge. We bought one from the GE Artistry Series. I never thought I would say this about a refrigerator, but it is really pretty! Thanks! I got it on sale from West Elm a few months back. I don’t think they still have the exact one, but they have some other cute ones. And Crate and Barrel has some super cute ones right now that I’m hoping will go on sale so I can ask for one for Christmas ;). And pretty fridges can totally make a kitchen, so I totally get it! They look great! I’ve been on the prowl for nightstands for a guest room, but would be hard pressed to wait if we didn’t have them in our room. I mean, where else would I keep my alarm clock/cell phone, tissues, and water glass? Thanks, Anne! 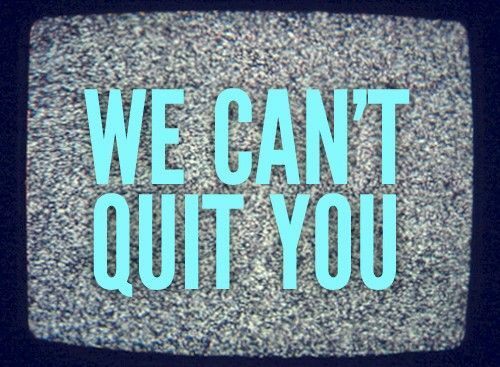 And I know…. I’m loving the convenience finally. This is one purchase I won’t be regretting! Ang!! You have no idea how happy your comment makes me! The next time you’re out here, you must see my room. And maybe you can give me some of your amazing decorating tips! My splurges this summer were two new swimsuits from Victoria’s Secret, and two replacement convertible bras from them, as well. As a lady, you know how important swim suits and bras are! Of course I delicately handwash each article and take very good care of them, so they will last years to come! I learned that after washing some suits in the washing machine…not a way to keep suits lasting a long time! Handwash & hang dry, sista! Cute night stands! I think my next big purchase is going to be a dining room set in the new year once my emergency fund is fully funded. I’ve had the same hand me down dining room table from my grandmother, which seats two people. Haha.